Meghan Markle’s parents’ ethnicity might be in question, especially now that she is engaged to Prince Harry. Read on to know more about what her parents do, and more importantly, what they think of their future son-in-law. In an expected move, the Clarence House confirmed that Suits actress Meghan Markle and Prince Harry are to marry in the Spring of 2018. We know a lot about the Royal Family, but who are Meghan Markle’s parents? What do they do? We have all the information you need to know about Meghan Markle’s mom and dad, right here. Thrust into the spotlight because his daughter’s dating a Prince, Meghan Markle’s father is no stranger to cameras. Thomas W. Markle was born in 1945 and is a lighting director of Dutch-Irish ancestry. It was in 2011 when he won a Daytime Emmy for Outstanding Achievement in Lighting Direction for a Drama Series for his outstanding work on General Hospital, one of the longest-running soaps in the country. He later got married to Doria Ragland (Meghan Markle’s mother) in 1979, but the two divorced in 1988. Ragland is African-American and is a social worker. She once took her daughter on vacation to poor and impoverished countries, helping the people who lived there and sparking her daughter’s interest in philanthropy. Meghan Markle’s parents’ photos on social media show that, even though they are divorced, she is very close to both of them. This is not the first time that Markle will be tying the knot! She was once married to Trevor Engelson, who is a 41-year-old producer. He is best known for Remember Me, starring Robert Pattinson, which had a small cameo by his then-fiancée. The two dated for six years after meeting in 2004. It was in 2010 that they got engaged and a year later, they were married. But, in 2013, the two divorced, citing irreconcilable differences. Before meeting Prince Harry, Markle was reportedly dating Toronto based chef, Cory Vitiello. 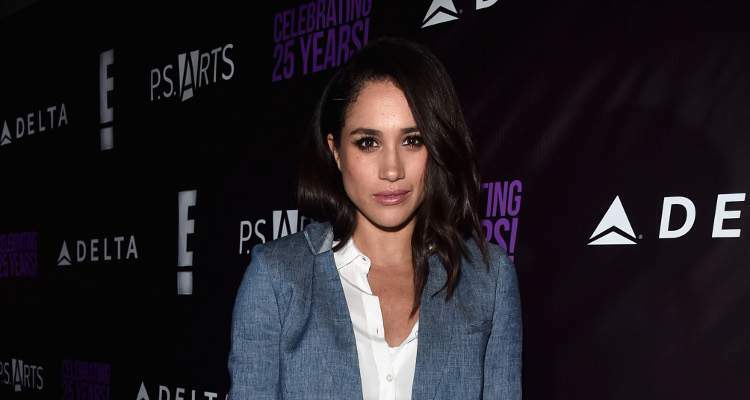 It is speculated that Prince Harry is the reason behind Markle and Vitiello’s breakup, but nothing has been confirmed.